I have hundreds of digitized color slides of Sembach and its environs, including many of the Mace missile, equipment, and support functions. Not knowing if your site includes reports of/about former Missileers, I’ll go ahead and mention that I just heard from Louise Chandler out in Evergreen Colorado, that her husband Scott T Chandler had died in mid-September of complications from diabetes. "Scotty" had been one of the original launch officers in the cadre that converted the former Security Service radio listening site on the Grϋnstadt hill into the “Site III” which many 38th TMW veterans are familiar. Taken in the winter of 59/60, soon after the original “C” flight arrived from Orlando, this picture shows then 1st Lt Scott Chandler at left with Lt George Burker, another “plank owner” like myself. Shot taken before Site III went operational; we couldn’t park inside the gate afterwards. Note Burker’s 1955 Buick Roadmaster convertible (famous as Der Panzer Amerikaner) at right. 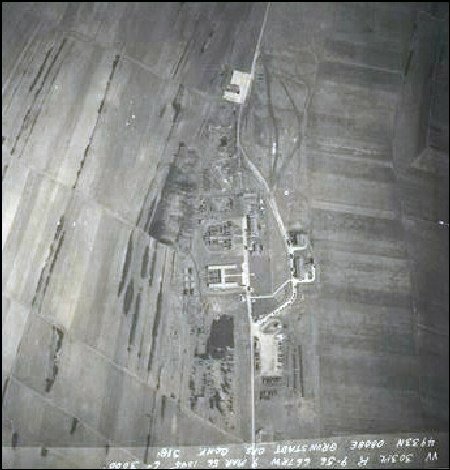 My 1961 picture of Grünstadt Site from a T-33; the view is toward the northwest. Obvious again are the “T” bldg, “H” Bldg, and chow hall. I wondered then and still wonder what the “U-shaped” concrete foundation had been, visible in both photos. The original 8 “soft” launch pads are event at right in second picture. I could go on all night with this nostalgia, but don’t know what the focus of your site is. 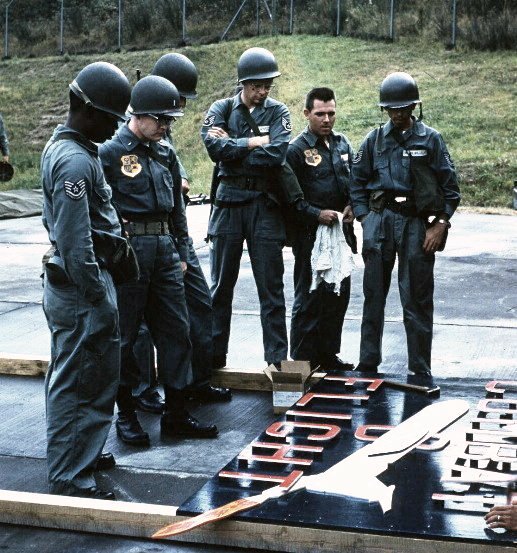 Here’s an example: in the fall of 1959 our guys building the original “C flight” sign that stood on top of the gate building. Scott Chandler, 2nd from left. 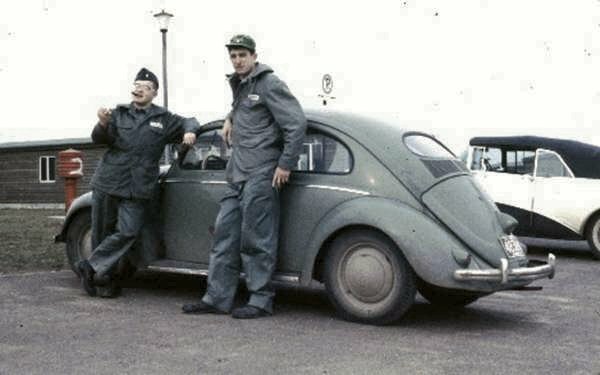 This was during the 1959 NATO fall exercise on base at Sembach, Hence the field gear and weapons. Burker and Chandler, at Grϋnstadt. That’s enough for tonight! I re-read your e-mail and want to explain what I want to accomplish with my web site.First, I want the history of the Tactical Missile Era and it's people to be remembered, not as text book numbers and stats, but as real people and places that are fast fading from our society. I want that history to reflect the personal memories and histories, (which I screen for content, I don't support personal agendas) which I intermix on the site with photos and diagrams. I want the old, original photos and histories as well as the current "what they look like today" photos. To that end, I only use material contributed by people who want their material used, or material that is in the public domain.. All material remains the property of each donor and is acknowledged wherever used in my site. There are no pirated or unauthorized photos on the site, with the exception of the two Air Force Art pieces, which are in the public domain. Second: I want the site to reflect the dedication and level of effort it took to maintain all systems, not just Matador, "A" Bird or "B" Bird, rather all the associated units that interrelated with the 38th, such as the "B" bird Group at Kadena. A history of the systems themselves is an integral part of that story and that is where the MM-1 page comes in. Third, I don't want to compete with the TAC Missileers Association which maintains current rosters and addresses, schedules reunions and publishes regular newsletters. Rather, I want my site to compliment them in a way that helps deliver our message of saving our odd place in Air Force history. They do an excellent job of keeping us all informed of our members who may not be doing as well as others. Hope that helps, look forward to hearing from you. Yes, it does help. I think I’ll develop what I’ve already written into separate ideas, and not put it all in one. First, to repeat and develop what I had in my first message, about what made up the original, mobile, single-crew, one missile concept. Secondly, some thoughts on training, to include Lowry for tech training, Orlando for crew training with its associated TDY to Holloman for live-fire shots with the Mace. Next, the deployment of “C” flight, 822nd TMS which was slightly different from the rest in that the assigned launch site was an abandoned USAF Security Service radio listening post. Lots of interesting facets to this, including making a “mini-base” with our own security forces, fire, mess hall …even a medic living on-site. There are several ancillary functions that should be included if you have the contacts to do it. For example, the lonely radar sites the provided ground-based radar control of the TM-61 MATADOR. They were an integral part of the 38th’s mission for many years, but little known even at the time by many wing personnel. Do you have anybody who can address that? 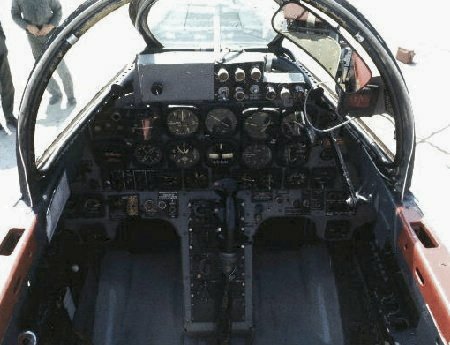 Another possible theme (and linked to those radar sites) was the “Simulated Missile” mission of a small number of pilots and T-33’s assigned to the wing at Sembach. My supply friend told me that from their viewpoint, these few T-33’s were the only “operationally coded” T-33’s in the Air Force, as if they were a fighter or bomber. With their unique radio call sign “Maverick”, these guys provided “simulated missile” targets training and evaluation for a radar ground controllers; while a second site served as scorer. As a pilot, I flew regularly with these guys on my days off from missile duties. That small, close knit group is still having reunions. 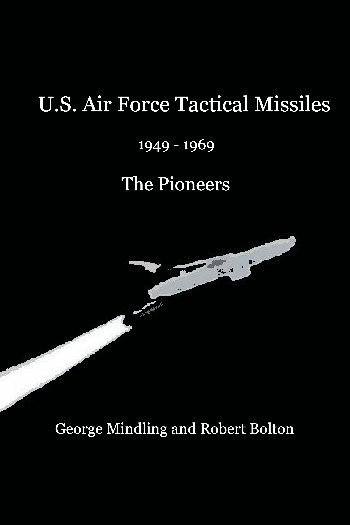 The flying was very exacting, as it all done very close to a very hostile border across which Soviet air defense pilots would love to have added the “kill marking” of a “sim missile” t-bird onto their airplanes! And hardly anybody at Sembach even knew they were there. Thus, I’d like to make several inputs to you, rather than just one. Is that O.K.? Absolutely! We can hardly wait! !